More than half of Americans consider themselves sports fans—they pack stadiums, rearrange their schedules to catch the game on TV, set alerts on their smartphones to track scores and host parties to watch the big matchups. But who follows science fairs, FFA or 4-H events with the same intensity? As a second-generation college athlete and a mom of a three-sport (and some years, four-sport) high school athlete, sports pack our calendar. But when our son was being interviewed by a sports reporter from a Bismarck television station about basketball and football he was asked what his favorite Class B experience was, Hunter said, “Going to the International Science Fair.” I guarantee the reporter was not expecting that answer. Science fair taught our son how to see something through from start to finish—prepare the research, tally results, design and create a presentation board and answer the judge’s questions. The success of a science fair project rests on the shoulders of one individual. The preparation, analysis and overall experience will come in handy during college projects, job interviews, problem solving and numerous other aspects of life as a grownup. Whether it’s a local, regional, state or international science fair opportunity, encouraging kids to not only participate but give it their best is important to empower the next generation. After a recent Friday night basketball loss thanks to a buzzer beater shot, most kids would want to sleep in on Saturday morning. Instead, our son and three of his basketball teammates, who also are FFA members, were up before 7 a.m. dressed in their corduroy blue jackets and official dress to participate in their first winter ag sales, agronomy and livestock judging contests. Beyond traditional ag contests, FFA offers numerous opportunities to develop students’ interests, whether that is environmental and natural sciences, food science and technology or mechanics. There are 24 career development events that allow students to compete as individuals or as a team. Aside from the ribbons, trophies and trips afforded to our son through FFA, his role as a chapter officer has prepared him to participate in and run meetings. If you ever attend or participate in board meetings, you know running a meeting effectively and properly is a skill set many don’t possess. Learning those skills and procedures as a teenager gives kids confidence and equips civic-minded citizens. Like science fair and FFA, 4-H prepares the next generation of leaders with an array of life skills that are taught less and less in our schools today. 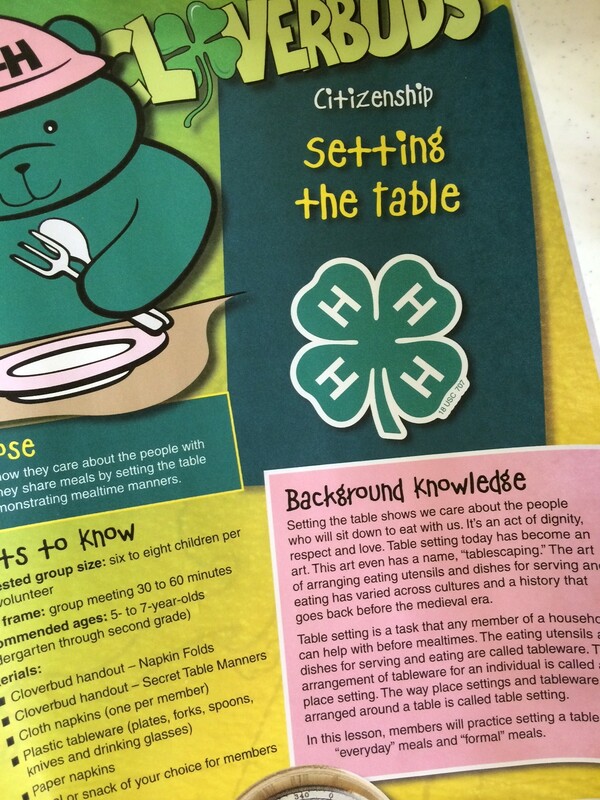 Before I really got involved with 4-H, I thought the organization was all about showing livestock. Yes, kids still show livestock, but there’s something for any kid. Our 8-year-old daughter, Elizabeth, started archery this month with our local 4-H club. Next month, as a 4-H Cloverbud leader, I will assist members and parents with a woodworking project at our family’s lumberyard. A couple of times I have taught a “Setting the Table” lesson. 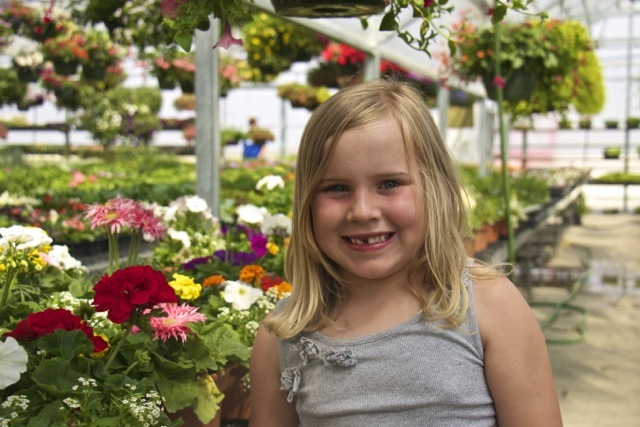 For Elizabeth’s first county fair, she painted a pallet to look like an American flag, worked diligently on the flower arrangement, down to knowing all of her flower species, and baked cherry macaroons all on her own. She was a nervous six-year old when she joined Cloverbuds, but in the past two years, I’ve watched her blossom into a confident 4-H member. Regardless of the size of your school or community, you probably know a kid who could benefit from participating in a science fair or joining FFA and/or a 4-H club. 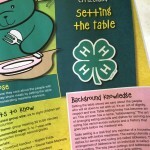 Despite my mom’s valiant efforts, I was a 4-H dropout. I didn’t attend a school that required all students in 7th through 10th grade to participate in science fair like our small school does. I thought FFA was a bunch of cowboys wearing blue corduroy jackets. Now I know, I was wrong. 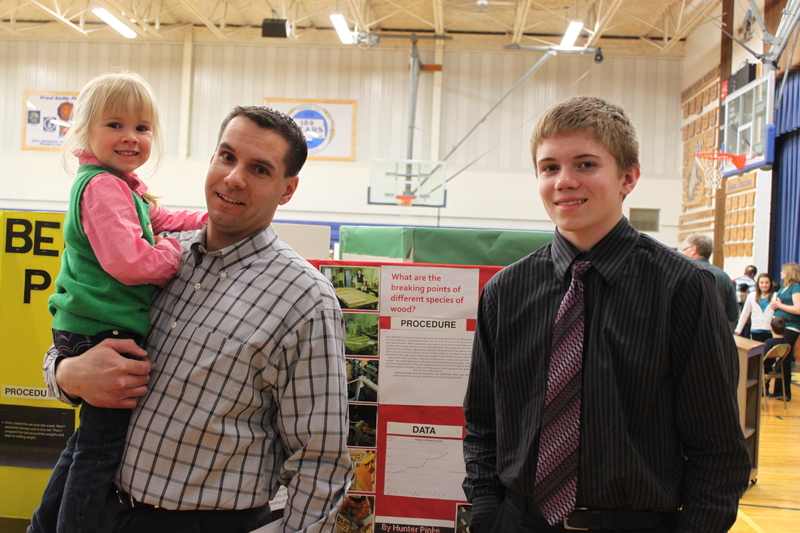 Have you participated in science fairs, FFA or 4-H? What are your greatest rewards? Great post! Thanks for sharing your AgWeek columns on your blog.